Acetobacter Diazotrophicus is a nitrogen-fixing bacterium associated with sugar cane, secretes a levansucrase. This enzyme represents more than 70% of the total proteins secreted by strain SRT4. Acetobacter (Glucanoacetobacter) is nitrogen fixing bio inoculant exclusively meant for sugarcane. GreenMax AgroTech is capable to produce ten tonnes of technical grade Glucanoacetobacter diazotrophicus per day. This product is also available in combination with Phosphobacteria as combined formulation. Acetobacter is an obligatory aerobic, nitrogen-fixing bacteria that is known for producing acid as a result of metabolic processes. G. diazotrophicus has been called interesting because it carries out nitrogen fixation under aerobic conditions. G. diazotrophicus is a plant endophyte and has been said to be capable of excreting about half of its fixed nitrogen in a form that plants can use. Acetobacter bacteria is found in symbiotic relationships with many different plants, such as sugarcane and coffee plants as endophytes that associate with plants by colonizing their internal tissues. Gucanoacetobacter is the only bio inoculant able to survive in high sugar concentration conditions (able to survive in 10% sugar concentrations). Glucanoacetobacter is known as black urea since it provides higer nitrogen requirement like urea. Glucanoacetobacter highly suitable for sugarcane crop. This bio inoculant fixes nitrogen in roots, stems and leaves of sugarcane. It solublizes insoluble phosphorus to plants. This bio inoculant promotes sugarcane growth abundantly and meets up to 80% of sugarcane nitrogen requirement. 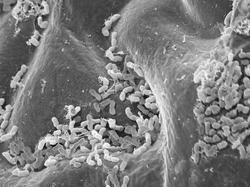 This bio inoculant also secretes some growth promoting substances like IAA and gibberellins. Glucanoacetobacter promotes a minimum of 10% of cane yield and a minimum increase of sugar recovery by 0.5%. This bio inoculant can be used only in sugar containing plants like sugarcane, sweet sorghum and not suitable for other crops. The mixture of Glucanoacetobacter diazotrophicus (Gmax Sugarmax) and phosphate solublizing bacteria (Gmax Phosphomax) can be used for Sugarcane, Sweet potato, Tea, Cofee, Pineapple, Mango and Banana. For one acre, Mix about 2.5 kgs of Glucanoacetobacter inoculant with 200 liters of water, soak the setts in the mixture for 10 minutes and use for planting. For one acre, Mix about 5 kgs of Glucanoacetobacter bio inoculant with 100 kgs of Farm Yard Manure and broad cast in the field (with in three months after planting sugar cane). Soil application Mix 3 Lrs of Gmax Sugarmax liquid formulation with 100 kgs of organic manure, keep the mixture under shade for one week and apply to the soil. Drip irrigation Mix about one lr of Gmax Sugarmax liquid formulation in 100 litrs of chemicals free, good quality water. Filter the mixture with a pure cloth; use the filtered solution in drip irrigation for one acre. Looking for Acetobacter Diazotrophicus ?